Spider Woman’s Loom is an exquisitely woven tale by debut novelist Lorie Adair. Set on the vast and starkly beautiful Navajo reservation in the aftermath of Indian agents exploiting the land and sending children to faraway boarding schools for assimilation, Spider Woman’s Loom is narrated by Noni Lee, an old Navajo weaver whose instinct for survival and fierce resistance drives away even those she loves most. When her estranged niece Shi’yazhi returns to Sweet Canyon pregnant and utterly alone, Noni Lee is forced to face memories of her own innocence and beauty as well as the haunting traumas that stripped them away. Weaving a traditional rug, Noni Lee reconstructs a history and sense of family for herself and Shi’yazhi—the legacy of Spider Woman, whose gifts of creation and resiliency are a rite passed mother to child, woman to woman, as it was in the beginning, the surest path to Hozho, the Beauty within each woman and the transcendence of circumstances most dire. Chloe Thomas lives a quiet life, fishing off the coast of Washington and Oregon, only unusual in that she is the only woman charter fishing captain in the area. A cash strapped charter fishing captain, at that. But she has a poorly kept secret in her small town of Clam Harbor. For the Clam Harbor Gazette says it all on the front page: Clam Harbor Resident Slated for Execution. Of course, Chloe didn’t always know that her father was a convicted murderer, Her mother didn’t want her growing up knowing that her father was sitting on death row, so she picked the name “Gallagher” out of a book of Irish names, gave it to Chloe, and until her grandmother was on her deathbed three years ago, Chloe had never known that her father was dead. Finn Tully is a loser, an addict and a liar, doing time in the Polunsky Unit in Huntsville, Texas. Working in the prison as a porter, Finn mops the floors of the halls of Death Row, and comes to know the man he calls “Calvery,” a death row inmate. Muling sugar for Calvery, for the production of “toilet bowl wine” Finn and Calvery become close. This ended up a little risky for me, but in his situation, I figured he deserved a little hooch to wash down his bread and beans. As Finn and Calvery become close, Calvery makes a final request of Calvery. Find his daughter, Chloe: You promised you’d talk to Chloe, Finn,” he said. “Tell her I’m innocent.” When Finn’s wife files divorce papers just before Finn’s release, one of many releases over his loser life, taking his daughter Lacy away from him, Finn decides to keep his promise and find Chloe. And possibly a treasure? But what kind of treasure? The plot of Thin Places twist and turn, as redemption and betrayal, love and loss all pay a part, as do ghosts – both of those lost and memories of the past. Overall, it took me a while to get into the book. Maybe because I really didn’t care for Finn at first. I mean, really didn’t care for Finn. And other than Chloe, I couldn’t engage with the other characters, so I sat it down for too long. But once I went back to it and started reading again (yes, because I promised I would) the story gradually began to flow, and ending up being a tale of loss and tragedy, mystery, romance and mystical insight. Read past the first few chapters, and I think the book will hold your attention as well. This book was provided to me in return for a realistic review. The review is late, but I enjoyed it after all. I would rate it more 3.5 stars overall. Who will live in this place between door and window? A mummer with a heavy heart and blind eyes turning, turning. Doors. Doors upon Doors upon Doors. Doors into memory. Doors into dream. Doors into magic and mystery and heartbreak. Doors into eroticism – Doors into death. 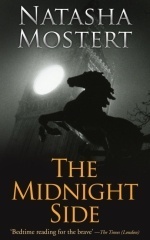 I first found Ms. Mostert when I was offered The Midnight Side by the publisher back in February. As I said in that review, The Midnight Side is . . . a brooding, atmospheric tale of suspense and psychological thrill, full of the kinds of fear and gloomy atmosphere sure to lure in even the most jaded of readers. 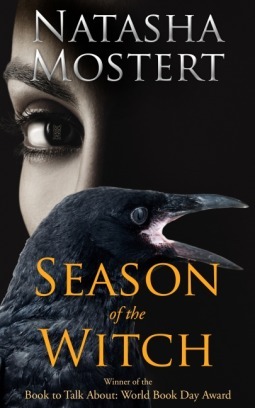 Mostert speaks to deep waters of the mind, dark corners of the soul, the ruin brought on by wounded and damaged souls. With my reading of Season of the Witch, winner of the 2009 Book To Talk About: World Book Day Award, I was again pulled into the deep waters of the mind, the dark corners of the soul. And once more, I was enthralled by Ms. Mostert’s grasp of language, her ability to paint a picture with words upon the page. The book actually starts rather oddly for what I had expected from Mostert, as we meet Gabriel Blackstone, an accomplished cyber thief, as he practices his craft. Gabriel knows what he is – nothing more, or less, than a thief – but a masterful one; a savant of ones and zeroes, algorithms and cyphers, pulling cyber magic from the very air. But that is not all Gabriel is. Gabriel is a Remote Viewer. And now, his former girlfriend needs his help. For though she too is a RV, she has nowhere near the strength or skill of her once-beloved. For her new beloved, her dying husband, wishes to know the fate of his son, who has disappeared without a trace. Though reluctant to return to this skill he has left behind, a happenstance pulls him back into this world of dreams and visions, of minds touching across space and time and realities one upon the other like the petals of a rose. And here, Mostert shows her amazing skill in crafting worlds of wonder and terror, of loss and mystery. And as he slowly spiraled downwards, he wondered with a strange sense of detachment if he might not still be on a journey, still searching for the path that does not wander . . . Many have spoken of the theme of the story, the happenings and characters. What I wish to address is her stunning vision of the occult, of witchcraft and psychology, seduction and passion, mysticism and the mind, all richly crafted into a world both heartrending and sublime. A white horse neighed madly and tossed its blood-soaked mane. None of Mostert’s characters are purely evil, none are purely good. Instead, she revels in creating characters of depth, both moral and immoral, sinner and chaste. Through talismanic images and mysterious sigils, fantastic signs and the infinite patterns of code, she drives Gabriel through the palaces of memory and the mind, wrapping the story into an atmospheric, poetic whole. Natasha Mostert has permanent residence on my “Keepers” shelf, a place few Authors gain within my own Palace of the Mind. I received my copy of Season of the Witch from the publisher. All thoughts are my own. 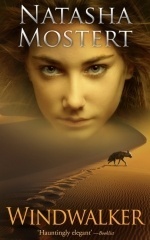 Don’t fail to add all of Ms. Mostert’s books to your “Must Read” shelf if you love atmospheric, poetic writing. Natasha Mostert is a South African novelist and screenwriter, who specializes in contemporary psychological thrillers with mystical and paranormal themes. She grew up in Pretoria and Johannesburg but currently lives in London with her husband, Frederick. She still keeps an apartment in the university town of Stellenbosch in the Cape province. Review: The Terminals: Spark – Michael F. Stewart – STUNNING! An incredible book of horror, psychology, and intrigue that I HIGHLY recommend! Not for the under 18 crowd – this is intense stuff! If you knew that you were going to die soon, that your death would have no meaning other than pain – your own and that of your loved ones – would you be willing to sacrifice what little comfortable time you might have remaining in order to save the lives of others? Causa moriendi est causa vivendi. Dying for a reason is a good reason to keep living. But what happens after death occurs? Does religion really have the answers? Or is it both more and less than what the human mind may conceive? If the afterlife is real, does our energy simply sustain what our mind conceives, fading into oblivion as the currants of life expire? Questions upon questions, with no answers in sight. Well, until you are dead, and then will those questions actually be answered? Or is the concept of an afterlife merely a conceit, a naïve attempt to ease the terrors of the unknown? Michael F. Stewart has written a horrifying book in The Terminals Episode 1: Spark. Oh, don’t get me wrong – I mean horrifying in the best possible definition of literary excellence. 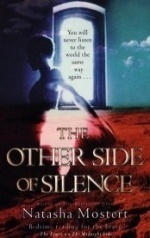 This is a spine-chilling novel, full of disturbing layers of both the physical and metaphysical. The story reached down inside my mind and jerked at the lids of all the mentally hardened boxes it contains, the memories inherent in a mind tormented by PTSD. the dark terrors at the edges of death, only to return, kicking and screaming, into the agony of life once more. When Lieutenant Colonel Christine Kurzow awakens in a hot, dusty field hospital in the burning desert of Iraq, the first words she hears are those of General F. Aaron: Dying for a reason is a good reason to live, Colonel. A strange comment, and one that opens the door to a perverted, powerful, and deeply disturbing book that reaches into the mind, distorting science, religion, belief, and the basic tenants of the human concept of the afterlife. Kurzow is crippled by guilt after the loss of eleven of those under her command – a loss that could have been prevented if she had taken one shot – a shot which would have killed a child, but saved her team. A rising star in the Army hierarchy, Kurzow’s misjudgment, and subsequent suicide attempt, is a public relations nightmare for the Army, one that is quickly swept under the rug. No punishment attached, rather a Medal of Honor awarded by the military machine. No punishment from her peers, but a deadly degree of self-punishment in the form of a sharp blade, and a massive number of pills. Now, she is pulled back from the brink and pushed into a secret military unit. A unit that accomplishes the impossible – communication with the dead. The only problem? One must die that many may live. What is most terrifying about Stewart’s tale is just how clearly I could see in my mind’s eye everything that was happening, in grotesque detail. And how horrific the religious visions of the afterlife really are. For, the method the group uses to track down the killers and terrorists in the afterlife is based on religious beliefs – the sharing of the Terminal’s beliefs with those of the person they seek in the afterlife. Can Christine gain her redemption by her own death? She will be given the chance – but before she can reach for salvation, she must handle the euthanizing of the Gnostic monk, Charlie. For Charlie is an expert on Hillar the Killer, a psychopathic mass murderer with a minimum of eighty kills under his belt. Charlie not only shares Hillar’s religion, but also understands the depths of Hillar’s psychopathy. Charlie must find Hillar in the afterlife – the lives of eleven kidnapped children depend upon him. And when an incompetent, glory hound cop blunders what should have been a simple shot, killing the killer, Charlie the monk must die in order to save them. Can Christine convince the monk that he must die in order to save the children? And can Charlie track Hillar through the brutalities of the Gnostic deep – and then pull the needed information from a creature of pure evil? Finally, can Christine, an Atheist, truly work through a system that relies upon meshing the religious beliefs of the Terminal and their prey? More questions – of religion and faith, of the good of the many over the good of the one. Of honor and pride, patriotism and heroism. And even greater questions of morality and ethics and an even simpler question – are the Terminals really terminal, or is there something truly evil in the works – an evil promulgated upon the innocent by a selfish, sociopathic coward with a god complex? Morph says it best. Listen, don’t fixate so much on death. It doesn’t matter. When we are alive, we are not dead, and when we are dead, we are no longer alive. There is no in-between. No dying. It is the dying that most people fear. Of course, when she made that statement, she was already dead. I received The Terminals Episode 1: Spark from Netgalley.com in return for a realistic review. If I could give the book ten stars, I certainly would. It has nothing to do with whether or not I received the book for free and everything to do with the fact that this one of the best books I have read in recent memory. I can hardly wait for the next Episode and will drop everything to read it to see if it lives up to its stunning début. An amazing story of horror, psychology, and the depths of belief. HIGHLY recommended. Not for the under 18 crowd. Sigh. I simply can’t express how much I hated this book. Of course, as I will now enumerate many of the things that made me so intensely dislike the book, that is sort of a silly statement, but you get the point, right? Let’s see, where do I start. The good. The cover is terrific. The art is beautifully done, and it makes you want to read the book. You are expecting to find a strong, paranormal female heroine inside, and in some ways that is what you get. The main character, Reya, is a Redeemer, basically the last entity you see before the Grim Reaper comes to sweep you away to where you are going. While it sounded like a Paranormal/Urban Fantasy thriller, what you get instead is a mishmash of Christian mythos and crystals, New Age philosophy and lei lines as Angelic power points, Atlantis and six dimensional physics, all rolled into a snarled bundle of “let’s put in a little something for everyone” that was, well, absurd. The Christians will hate it for the new age philosophy; the New Agers will hate it for turning their beliefs into a joke; and the scientists will just laugh uproariously. Of course, I did run across a New Ager once that said that anything bad that happened to you (she was talking to a cancer patient at the time-a cancer patient with small children who would be without their mother soon) “brought it on herself because she must have been putting bad vibes out into the universe.” Yes, I did slap her silly. The “let’s blame the victim” attitude of the book is what really made me find this book to be the worst kind of psychological abuse. The whole story arc takes the blame away from the worst dregs of society and dumps it right onto the victim, premising that the victim chose their own abuse, that they brought whatever happens to them into their own lives. It gives sanction to the worst that humanity has to offer, assuring them that, whatever they do, no matter how heinous, they just have to say the equivalent of “Oops, my bad” and they are off scott free. There is no judge or jury in Heaven. So, does that mean when Jews get to heaven they get to share a meal and a giggle with Hitler and reminisce about the good old days? As a Redeemer, she offers the soon-to-be-departed one last chance to atone for their sins. I didn’t really give that line all that much thought, and I apparently should have, because when I got into the book I came to a point of wanting to gouge my eyes out with a dull spoon. If this is the author’s concept of “God” I will take the courts any day. They may not always get it right, but at least they try. All in all, the book mouthed platitudes about “loving one another” and still managed to make it perfectly acceptable to do whatever you want, no matter how depraved, with impunity. If you have ever been a victim, of physical, mental, emotional or even financial misconduct of others, I encourage you not to read this book unless you are into self-flagellation and blaming yourself for your treatment at the hands of others. Click to go to GoodReads site. Soul and spirit; mind and body. Of what do we exist? We know we are space dust, bits and particles of the origination of the universe. But what makes us “human” gives us consciousness, a sense of self? And does that consciousness remain, passing from generation to generation? Déjà Vu does a beautiful job of exploring the idea that souls do, indeed, continue on. That spirits move through the generations, finding one another and losing one another again, a cycle of growth and learning. Deanna Lewis has had some nasty occurrences in her life. The death of her parents threw her off, knocking her life off course. Now, Deanna has learned to live with her new life, changing and growing a new business as a party planner. Her focus is totally on her business, a workholic, but she longs to grow her life as well, to find and develop a relationship. Josh Haber is another workaholic, focused on his music business, not really wanting to “waste time” on a relationship, but still lonely and wishing for more in his life. What happens between Deanna and Josh explores the ideas of past lives and how the past informs the future, the possibilities of love and loss through the eons. The perceptions of hope, and growth. I don’t really know what to think about the concept of past lives. I am not a believer, but then again, I am not really a non-believer either. Many years ago, I was part of a study, at CU Boulder, by a PhD candidate in Psychology. The study showed that, in my case, I was apparently a member of an Aboriginal tribe in New Zealand, long, long ago. Is it true? I have no idea, but I was reported as the only “100% match” in the study group, which is interesting in and of itself. Would I be interested in doing past-life regression? Yes, I think I would. Maybe. With the bad things that have happened in my life (this life?) maybe I was a rank-and-file warrior, or maybe a lead warrior, who did bad things to innocent people in that lifetime. Wouldn’t that be, in a way, a comfort? To know that you have the opportunity to make up for past mistakes, or to re-locate past friends, past loves, in a new life? If these questions interest you even in the slightest, you should really read Déjà Vu. It isn’t perfect – Josh is a bit too much of a brat for my tastes, but then, he had a hard life in both this life and the last. So, yea, I am willing to cut him a bit more slack than some! Deanna has a friend, Faith, who is a wonderful secondary character. She is a Psychologist, a student of past life regression, and her take on Deanna and Josh’s situation, and the help she provides, is beautifully done. Overall, this is an interesting, fun, and deeply thoughtful book. Recommended. I was provided with a copy of this book by the author. All opinions of the book are my own opinion.